WOMEN ROCK. In case you need some reminding on how incredibly vast is the awesome-ness that are women, here are some lovelies to jumpstart your own list of LADIES-WHO-MAKE-THE-WORLD-GO-ROUND just in time for the upcoming International Women's Day. Malala Yousafzai. 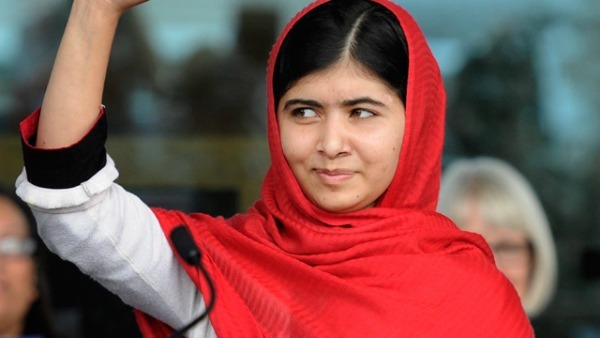 A young girl , Malala fearlessly spoke up against the oppressive measures of the Taliban. When at the tender age of 13, she first spoke out in public, asking why the Taliban wanted to take away her right to an education. In 2009, Malala began blogging for the BBC, and shared with the world, her life living under the threat of the Taliban to deny her education. She survived an attack against her life, and still speaks out for women's rights and justice, and recently became the youngest person in history to be awarded a Nobel Peace Prize. Amy Poehler. Not content to rest on her laurels as uber-talented comedian and writer, Amy Poehler chooses to use her celebrity fire-power for the good of all woman kind. Along with producer Meredith Walker, Poehler co-created an award winning web series, Smart Girls at The Party, and used the success of the series to create a community for her "Smart Girls." The motto is simple: Change the World by Being Yourself, a message that is as positive as it is powerful. 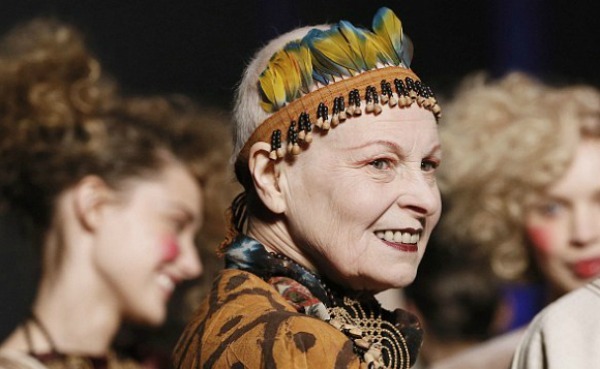 Vivienne Westwood. This iconoclast fashion powerhouse is still going strong after all these years. Her collections, still snapped up, and coveted by many, remarkable for a famously fickle industry, stills shows the teeth of her original sharp political bite. Never one to keep opinions quiet, her recently proclamation to "Vote Green" at her Red Label show, shows Viv in high form, dishing up unforgettable original style, with her strong D.I.Y. belief that we can truly change the world. There are MANY women to celebrate, and not just famous ones. Who in your life gives you cause for pause? Who has inspired you to be brave, stay smart, and make a change for good? SHOP VINTAGE | support women. There are many women, like myself who seek to earn a living and/or to supplement their income by selling vintage and handmade goods on Etsy. 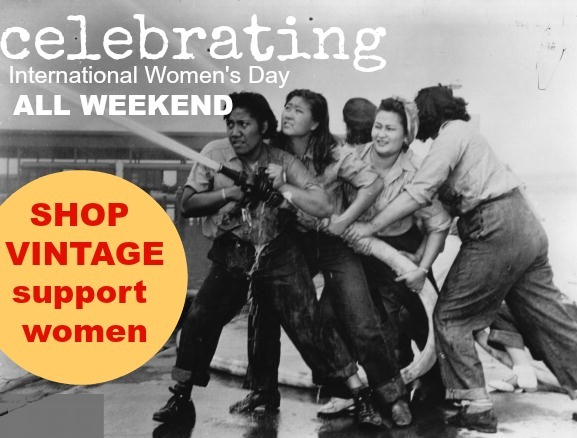 The Citizen is proudly celebrating International Women's Day, ALL WEEKEND by hosting a sale store-wide. For our lovely and loyal readers, we're offering an additional 10% off. Just type in coupon code ROSEBUD at check-out to get your special CITIZEN savings. Thanks for your support! Women are incredible! And so are you! We need to celebrate strong woman. Women do rock! Love your choices of who you showcased here. I'm thinking this morning about the women who have been in my life who have inspired me and pushed me to grow. You've inspired me to make contact with a couple of them today. Yes, yes and yes - to the 3 amazing women you have highlighted here. And a great big, celebratory yes to all the wonderful women worldwide too.